Karem J. Simon is an active soloist, chamber and orchestral musician, and conductor. He has been a member of the UPEI Music Faculty since 1991, where his principal duties include the instruction of clarinet and saxophone majors, the conducting of the Wind Symphony, and the teaching of courses in music education. A native of Newfoundland and a graduate of UBC, Northwestern, and Mount Allison Universities, Dr. Simon has been a featured artist with the PEI Symphony, Saint John String Quartet, Gros Morne Summer Music Festival, and the International Clarinet Association's ClarinetFest. As a Canada Council for the Arts and PEI Council of the Arts grants recipient, he studied contemporary clarinet techniques in 2008 with Robert Spring at Arizona State University. Wesley Foster, Ronald de Kant, Clark Brody, and Ron Goddard are among his clarinet teachers. Prior to his appointment at UPEI, he taught public school instrumental music for ten years in Corner Brook, Newfoundland. From 1997-1999 Dr. Simon served a term as principal conductor of the Nova Scotia Youth Wind Ensemble. In 2001 he was recipient of the Association of Atlantic University’s Teaching Excellence Award for Instructional Leadership. Dr. Simon is principal clarinetist of the Prince Edward Island Symphony Orchestra and was conductor of the 2007 National Youth Band of Canada. While at Northwestern University it was his privilege to study conducting and play under the baton of John P. Paynter. 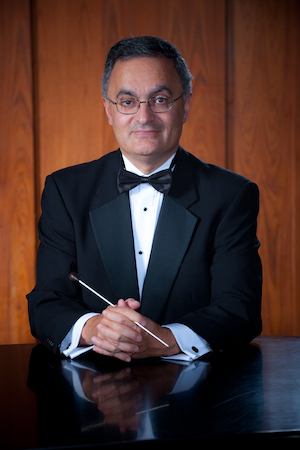 In addition, he has been coached in conducting by Eugene Corporon, Craig Kirchhoff, Michael Haithcock, Dale Lonis, and Jack Stamp. Under his direction, the UPEI Wind Symphony has produced eighteen CDs and has been acclaimed for its programming and performance standard. He is in demand as a conducting coach, adjudicator, and music education presenter.